There are some movies that actors loved doing that audiences hated, and movies audiences love that actors wish they could forget. And sometimes there are movies so bad the audience and actor both wish they’d never seen it. Not even a big paycheck can wash away the film of regret from these actors after doing these embarrassing roles. Can you smell what The Rock is cookin’? 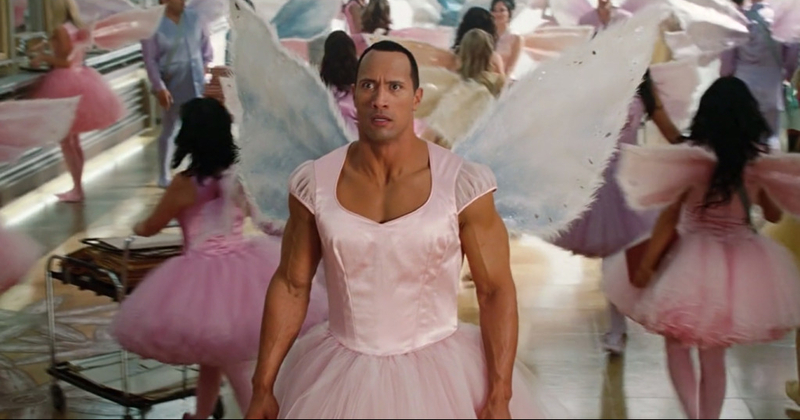 Critics sure thought he stunk up the joint with his 2010 fiasco “The Tooth Fairy.” This children’s fantasy film saw former wrestling star Dwayne Johnson play the role of the actual tooth fairy, complete with wings, a magic wand, and a pink tutu. The film was actually a box office success, grossing over $100 million domestically. But at what cost, Dwayne? At what cost? Johnson seems to have realized it’s better to stick to more dignified roles, which is why lately you’ll see him at the movies hanging out with giant albino gorillas and leaping off of skyscrapers. It’s hard to think the same actress who gave us Daenerys Targaryen, Mother of Dragons from HBO’s “Game of Thrones” could have a bad role, but she did. And it wasn’t “Solo: A Star Wars Story” either. It was yet another failed blockbuster, 2015’s “Terminator: Genisys.” Initially, Clarke took the role of young Sarah Connor because she was familiar with director Alan Taylor, who had filmed some of the “Game of Thrones” episodes. In fact, this movie’s reputation while being filmed was so bad that another bad film being made at the same time, the infamous “Fantastic Four” reboot, had crew jackets that read “at least we’re not on Terminator.” There’s not enough aloe in Hollywood to treat a burn that massive.